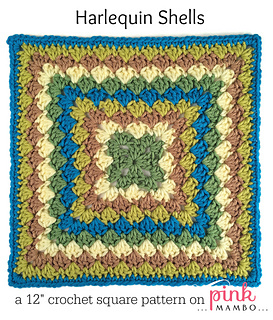 Here’s a lovely 12″ square pattern for all your crochet-alongs! It can also be made smaller if you fancy a 6″, 8″ or 10″ square. 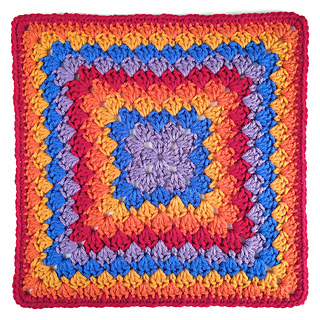 This square is made with 3-double crochet shells that form a sort of diamond pattern, hence the name.